The nearest public car park is Audley Square Car Park, 5 Audley Square, W1K 1DS - a six minute walk from the hotel. Designated parking areas are also available in the local area; please take note of the signage and restrictions displayed when parking in Mayfair and central London. Flemings Mayfair does not accept liability for your vehicle whilst it is parked in the area, including the Audley Square Car Park. 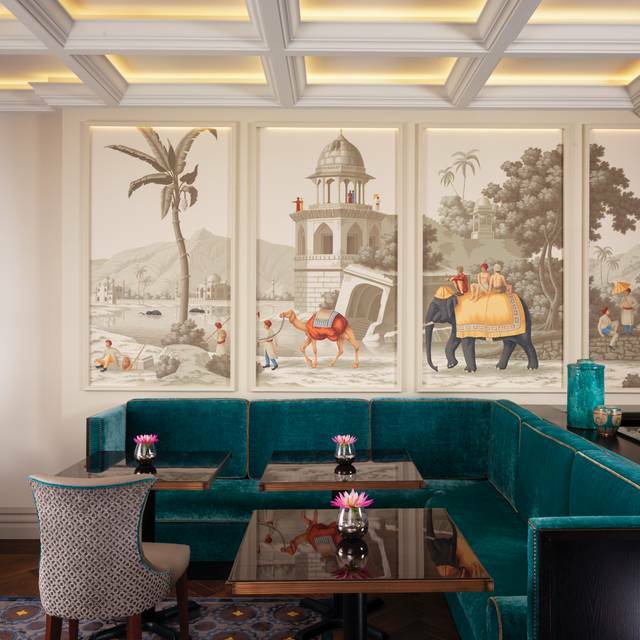 The Drawing Room at Flemings Mayfair Hotel echoes elegance and grace in homage to the hotel’s 18th century origins. This Georgian history is reflected in the room’s harmonious proportions with reinstated period detail including 3m ceiling height and sash windows as well as an original marble fireplace. The room is complemented by a natural, soft colour palette. 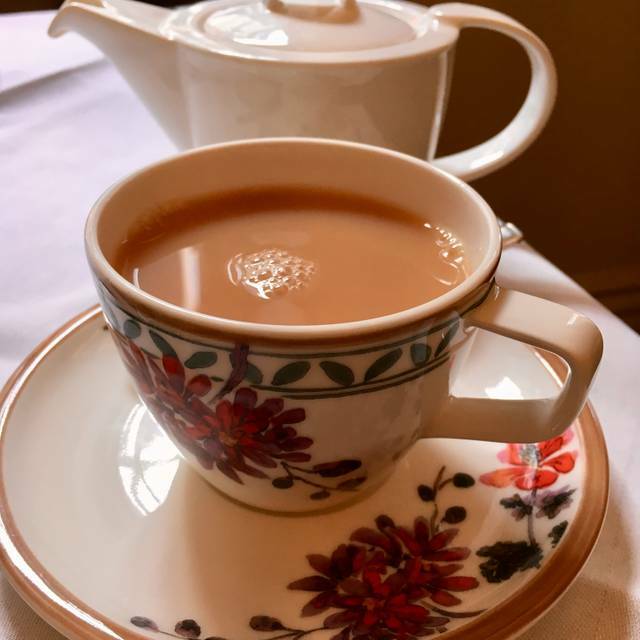 The refined Indian-inspired tea room welcomes guests and visitors to enjoy light refreshments and beverages all day or to imbibe wine and ampagne at its small bar. 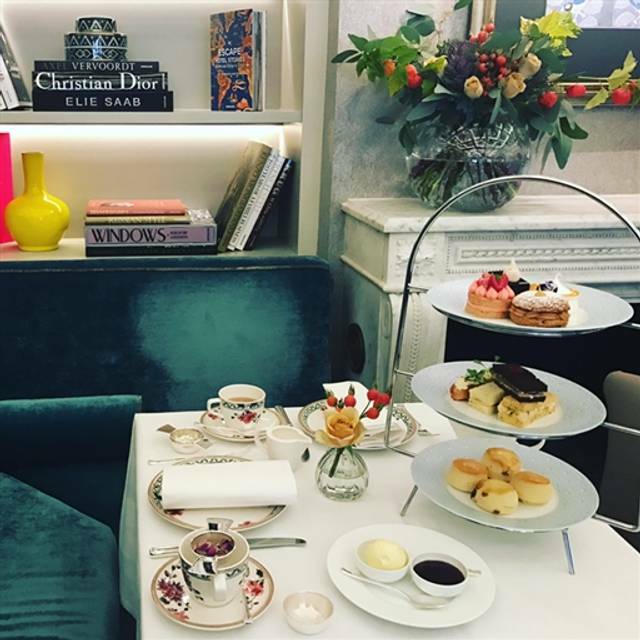 The Drawing Room is also a perfect setting for a genteel afternoon tea: Traditional High Tea, or Drawing Room Afternoon Tea and Champagne. 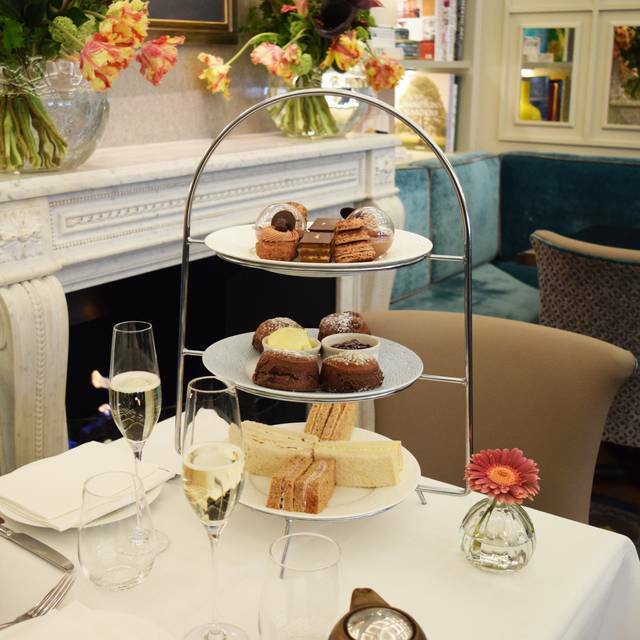 Our afternoon tea menu is now designed by Michelin starred chef Shaun Rankin. 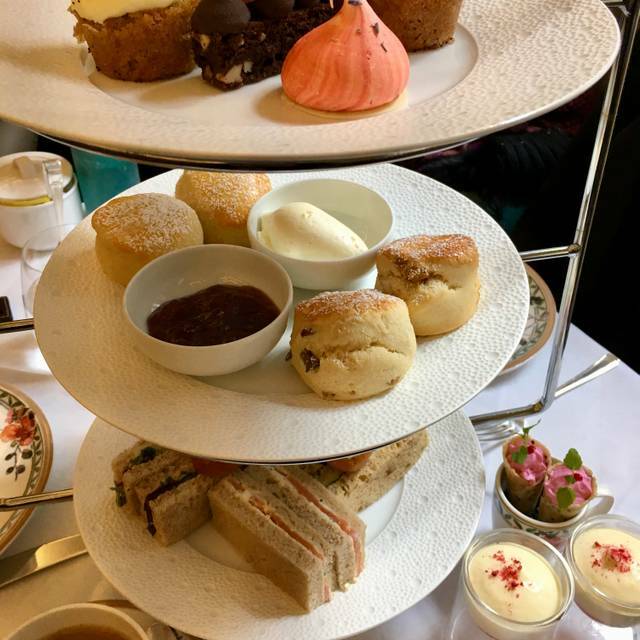 The Afternoon Tea selection includes homemade plain and raisin scones with Jersey Chantilly cream and strawberry jam, A selection of homemade sandwiches with a vegetarian option available and an assortment of delicious Petit Fours. We had a lovely afternoon tea in the Drawing Room at Fleming’s! Beautifully decorated but not “over the top”, I loved the ambiance. The staff was knowledgeable and friendly and made a wonderful recommendation for the oolong! We were treated to 2 pots of tea and could select different varieties to try, which was nice. My only complaint was that the scones were served at the same time and were cold after I had sampled a few of the sandwiches. One of the fruit scones was quite hard - the others were perfectly fine though and we were too full to eat all of the scones anyways! I’m sure they would have happily replaced it had we asked! I have had Afternoon tea a Flemings twice. This will definitely be my guilty pleasure. Everything delights from the front door to exit. The staff are professional yet engaging. The food is divine and the ambience relaxed. It is an oasis in London. Lovely atmosphere, great service,afternoon tea was lovely apart from the desserts, none of which were liked by any of our party of 6. Overall a very lovely time. Service a little slow, but in general good. Sandwiches fantastic, as were the scones. The cakes not so good. Chocolate, too sweet. Macaroons a very odd flavour. Afternoon Tea at Flemings Mayfair was excellent. It was my only afternon tea experience in the UK. The food options were varied, and quite unique. Really nice service for a perfect afternoon with a friend in a delightful and classy place. Very nice ambience . Food great . Service could be a bit prompter and a little more attentive. Having eaten afternoon tea in two other London establishments I can honestly say that this was extremely poor for £77. The doorman was polite but then, upon entering the establishment nobody took our coats or purchases. You are offered to dispense with such things in most pubs let alone a hotel that is supposed to be a five star. Then having chosen our tea we were reminded that only 1 refill was allowed! Tea arrived and then we had drunk 2 cups and any tea remaining was now cold before the food arrived. The meringue was reasonable but the coconut based cake was too sweet and so called chocolate one really inedible. The small dessert - we had to eat this with either a large dessert spoon or the teaspoon on our saucer. Oh and I think it was in a plastic container. Staff were chatting at the bar. The music did not seen appropriate for an afternoon tea and the place was a thoroughfare for various guests and or employees. We paid the bill £ 77 and then left . Nobody was there- no employee . They had now all disappeared. No good afternoon and " did you enjoy your afternoon tea ? " Quite frankly there was no atmosphere and the staff and management need lessons in how to serve tea to guests . Never again . Don't go here . What a complete waste of money. I have eaten in several top Michelin starred establishments but quite frankly the quality of service and food was lower than a transport cafe where usually the food is fresh and you do not have to send it back . We shall not be coming back ! Was a lovely experience. I booked it as a present for our year anniversary and she loved it. Would definitely recommend it and would love to go back again. An Amazing Afternoon Tea. This was to celebrate mine and my Best Friends Birthdays. I am Gluten free and have a number of allergies and these were confidently catered for. The staff knew the balance between being friendly and leaving us alone to chat. Fantastic afternnon. The afternoon tea food and drinks were excellent, and very good value for money. However, the service was dreadful! We waited 25 minutes for our pots of tea to arrive, then a further 50 minutes for the food to arrive (it was traditional afternoon tea sandwiches, scones and cakes, not hot food). During this time we noticed another group of 3 have to go over and collect their own drinks from the bar, as the waitress had put them on a tray and then left them there - this group quite correctly refused to pay the service charge. There were a total of only 7 people in The Drawing Room, ourselves included, and 3 waitresses standing around adjusting bottles and on the phone, and messing around on the computer, plus a manager coming in and out from time to time, all totally ignoring their customers. By contrast the concierges and doorman were helpful and delightful. 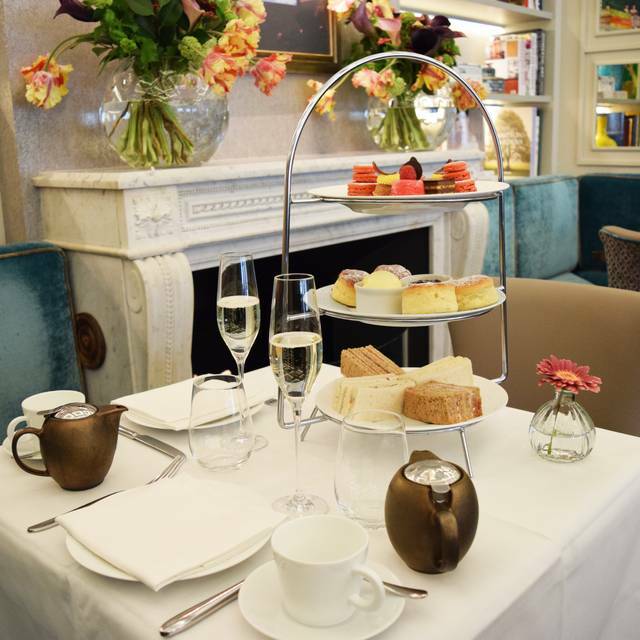 Afternoon tea is served in a tiny room, similar to a private reading room. On my visit, the finger sandwiches' content was scant, the breads slightly dry. 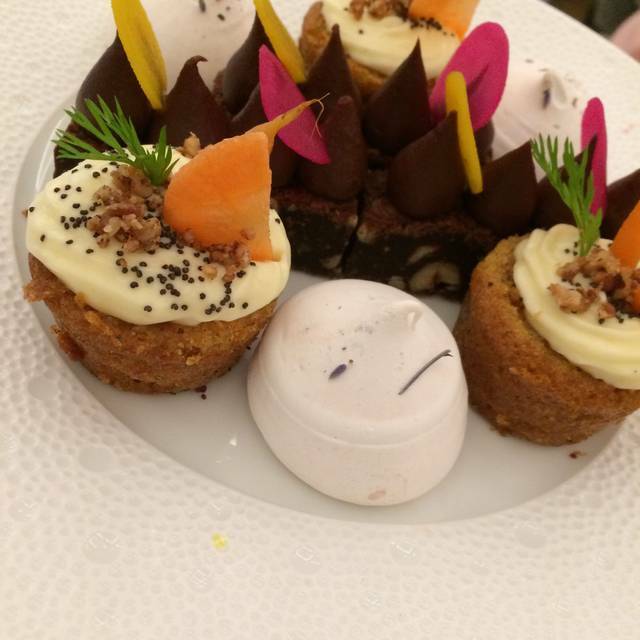 Although quite pretty, the assorted desserts bordered on just so-so to truly awful. The service, while pleasant was too frequently inattentive or absent from the room. In a word: disappointing. Totally mis-sold this voucher - it said Afternoon Tea but in fact it was just scones and tea (which is only a cream tea I believe?) so really expensive in the end. Not necessarily the venue's fault but I would not rush back. Afternoon Tea was good, but when recommending it I would have to point out some disappointing factors. 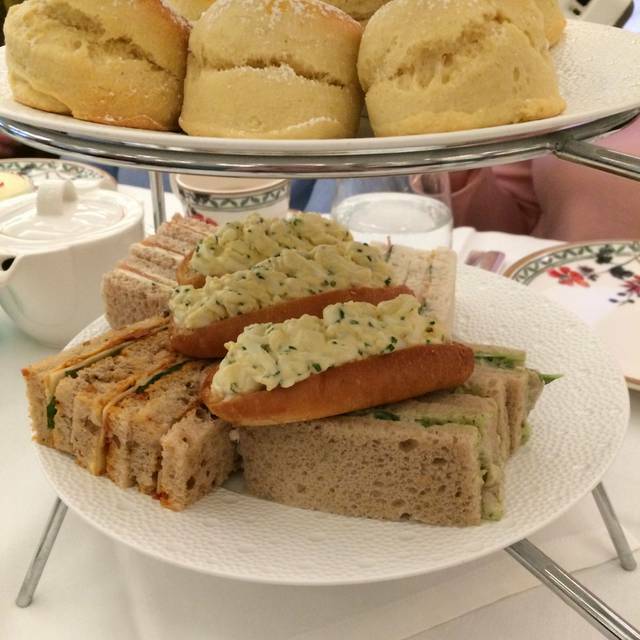 The finger sandwiches were very tasty but you were not asked if you would like any more, this is only the second time this has happened to us, we have had approximately 30 afternoon teas in hotels in London. The teapots which were the smallest we have ever had, very quickly needed refilling. When we requested on the second time for a refill we were told it would be at an extra charge of £5 per pot. That has never happened before at an afternoon tea. The cups and saucers were a little chunky for afternoon tea, would have expected china cups and saucers. We have been going for years. This trip the brioche could have been a tad fresher. Also we usually are offered unlimited tea but now only 2 small pots. Setting is lovely and staff are gracious, but we used to get asked if we'd like more food and tea, and the price was significantly cheaper with offers. All in all a very nice tea but I might be tempted to pay up for Browns next time given the changes. Nice and proper afternoon tea. Attentive to details, very good service. Lovely scones, hearty savories, and tasty sweets. This was a spur of the moment stop for me, my wife and my parents. The staff were amazing. Incredibly lovely people that were very accommodating. Afternoon tea was delicious and the atmosphere was comfortable and classy at the same time. It was an absolute pleasure and our experience has made me want to stay at the Flemings Mayfair the next time I'm in London. It was my second time for the afternoon tea, I was treating my parents for their wedding anniversary. We were offered the Beatrix Potter dessert selection for Easter, which was absolutely delicious, and the presentation was beautiful, perfect insta moment (if that's what you're after) My dad had the dairy free option, as he's lactose intolerant, and he didn't feel left out at all or that he was having a not so good selection, so we were very happy about that. The Drawing Room at Flemings Mayfair is an absolute jewel box. I found it on a search of best places for tea in London. Small room with a small bar. Windows on one end, cozy fireplace on the other end. Two long banquets along one wall divided by door. Each banquet fits 8. Two corner tables opposite and maybe 2 window tables. Did not know the size when booked. I booked a reservation for 6 on Opentable that morning for 4:00 tea and had no problem reserving. Beautiful calm decor, art and fashion books in the bookcase flanking the fireplace. Great ambiance. Traditional tea sandwiches egg salad, cucumber, tomato basil mozzerella, chicken taragon, desserts more than we could eat (carrot cake, brownie, meringue shown in pic) plus a custard cup and little cones with berry mousse, PLUS scones, very good. Just a lovely way to spend a dreary afternoon of rain in London. Would not hesitate to return. Service attentive. Great place for a cocktail as well. Husband had a giant charcuterie platter. Only negative was rude gentleman on phone. Entire room could hear whole conversation. Went to Fleming’s with 3 friends and 3 buggies in total. Staff were kind to cater to our group, especially given the space that the prams need. Service was good overall and staff were attentive. We had gone for the Peter Rabbit afternoon tea however, disappointed that the food did not match expectations - dry sandwiches and scones, not of a high quality compared to the locality and competition in Mayfair. Also there was nothing Peter Rabbit about it, besides an icing carrot on the Carrot cake. Good value for money with the offer but would not go back again. Very nice but we had to ask for a refill for the tea. Very quaint and nice location. Service was quite good, tea and sandwiches were fine but sweets and scones were excellent. Really relaxing and enjoyable experience. Wide selection of tasty teas, the food is amazing and the service was top notch too. The decor is beautiful and though the place is relatively small it only added to the cosy atmosphere. Will certainly visit again. 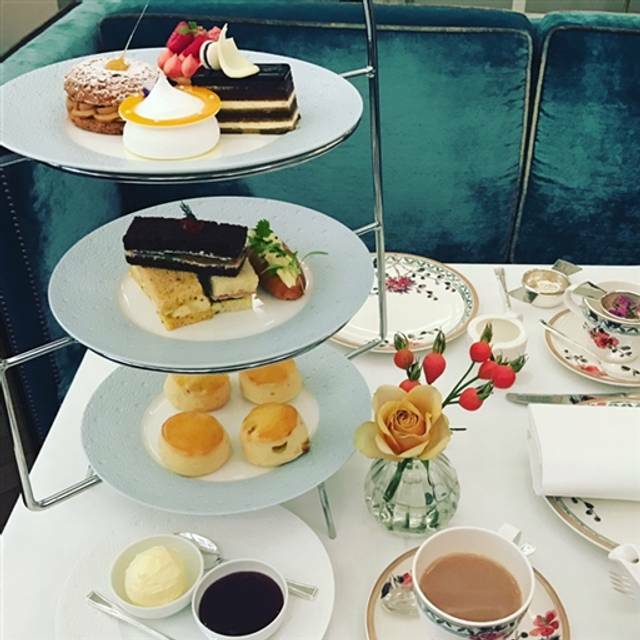 This was definitely your traditional afternoon tea, but the experience was so so as the food was not elevated and the ambiance was pretensious. Food was horrible. Untasty unhealthy with much margarine. Loved it! Everything was just perfect. The drawing room is cozy and the tea is well presented. The staff is extremely polite and made us feel very welcome. Afternoon tea was a good spread with sandwiches made to our order, scones and a variety of cakes. Would highly recommend this hidden gem and am definitely going back soon. High quality and delicious! Dont hesitate to try it. Great service, ambience and decor. Food was not good, really not special and below my expectations. Sweets and scones llooked like they had been bought from supermarket, unfortunately not high standard. Average afternoon tea.. Definitely not the best in town. Very quiet place, I guess this is the way it should be but too cold for me as such that I was scared to make noise sipping my tea or eating my scone! I didn't feel comfortable in this too cosy quiet room. My husband asked for a glass of malbec costing £7. He got a very old bitty glass of chianti for which we were charged £15 -not very helpful at all. The ambience was lovely but the portions sizes were small and the cake was not not that fresh.